Schoolhouse Teachers.com is the homeschool curriculum site of The Old Schoolhouse Magazine. The online, self paced courses are written from a Christian worldview and available to be downloaded and printed or viewed online. 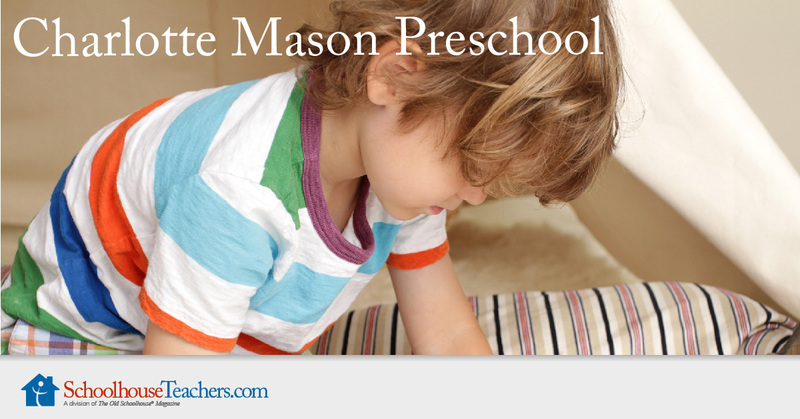 As it covers the entire family, the cost of Schoolhouse Teachers Online Courses are very affordable. Once you are a member of the site, you do not need to purchase particular courses - but you have it all at your fingertips for the duration of the month or year depending if you buy a monthly or yearly membership. As said previously, I have not used many online homeschool curriculum, and I cannot speak about the content of Schoolhouse Teachers from the perspective of one who has used it with my family. However, I do recognize some of the teachers who have prepared the online classes from other curriculum or other homeschooling websites. 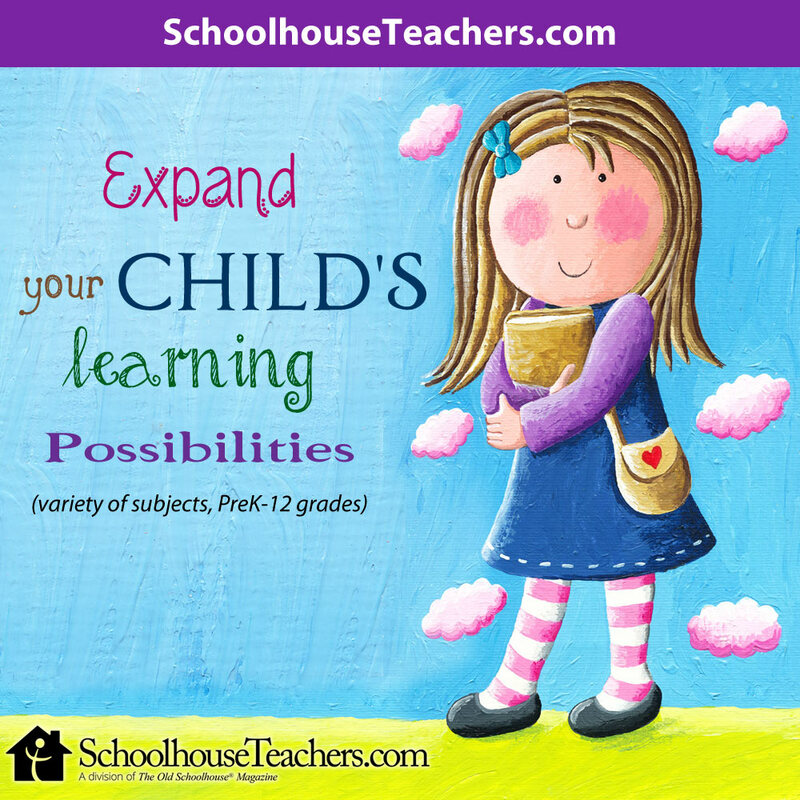 I am amazed at the courses that are offered by Schoolhouse Teachers. 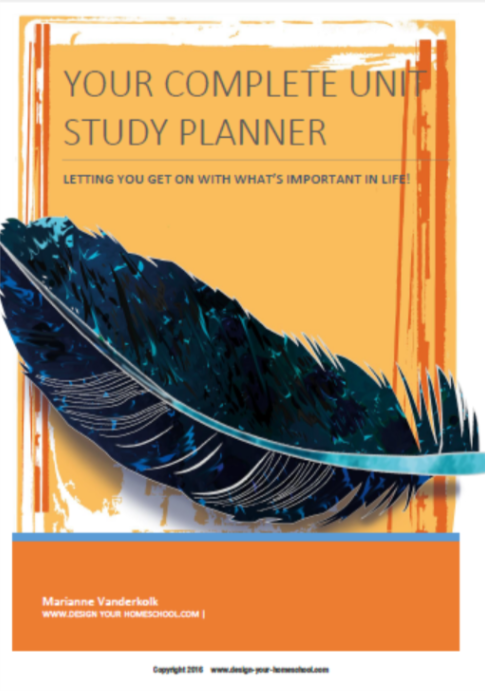 Many of the classes have lesson plans - so you can easily download the plan at the same time to help keep yourself of track. 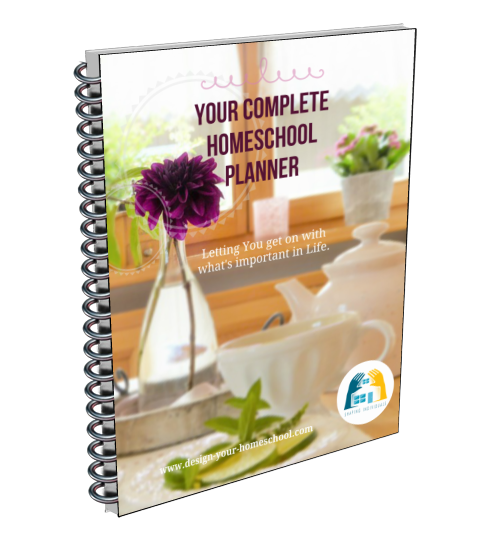 There is also record keeping software included as well as Homeschool Planners you can download. As a member of Schoolhouseteachers.com you can watch hundreds of streaming videos from providers including Creation.com, Drive Thru History, Vision Video, Discovery House, Boat Angel, City on a Hill, RightNow Media, and more. 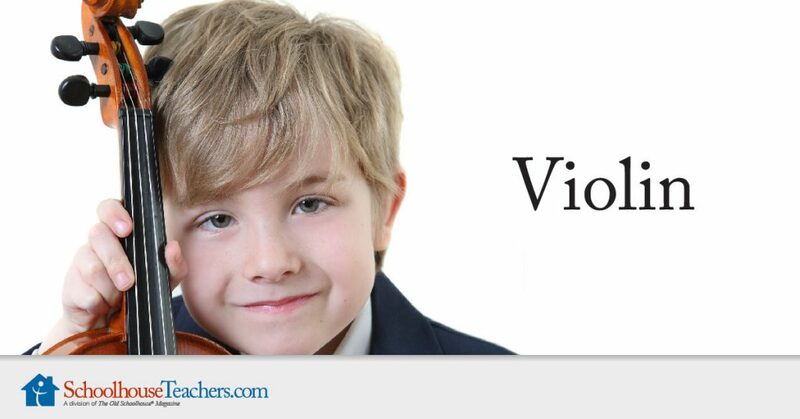 They are gathered together for easy viewing on their video page - but also a part of certain online lessons. 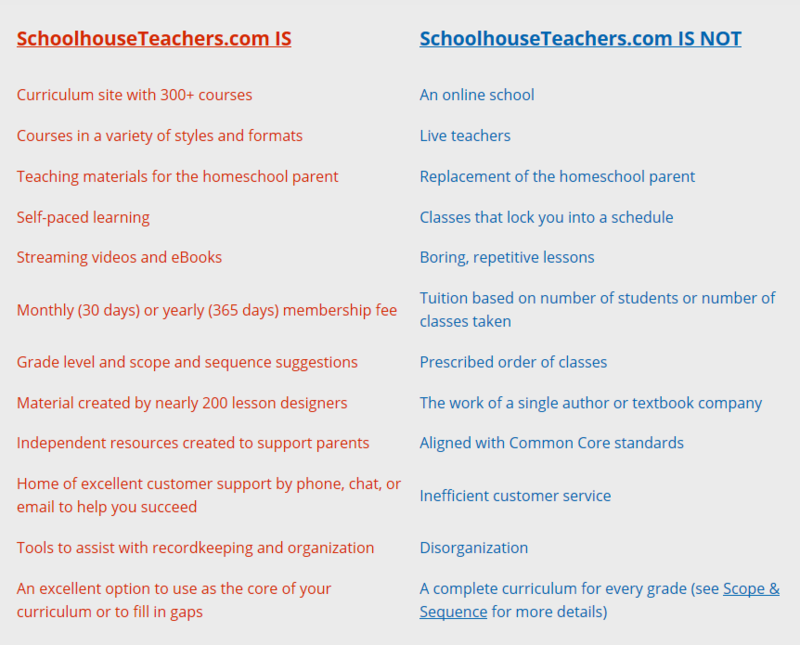 How can Schoolhouse Teachers Online Classes help? I can easily remember back to the days of homeschooling a number of children and at times, you just wish you had an extra set of hands to help out. This is how I think Schoolhouse Teachers can help. 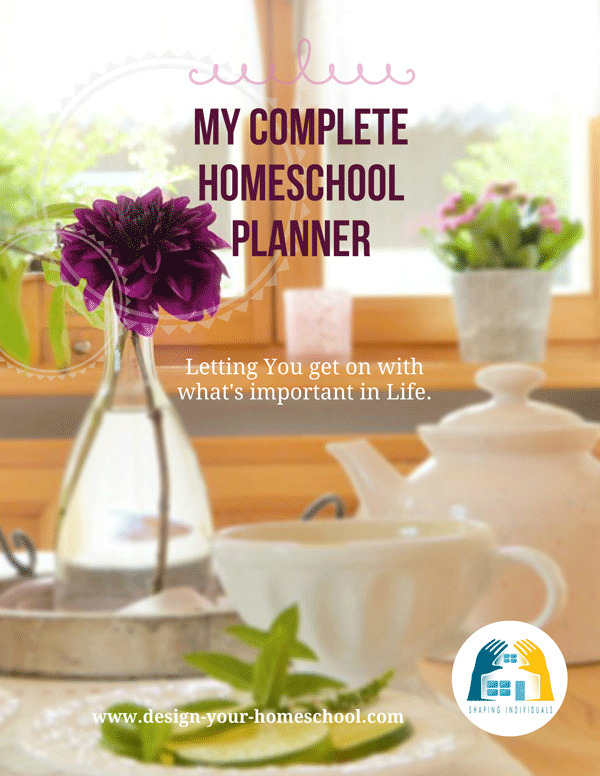 I'm not a major fan of allowing homeschooling online courses be the backbone of everything you do - but the way this is organized, it is a perfect solution to add interest as well as independence to your homeschool. You can choose to either take an online class together and watch the videos and complete lessons as a family or you can select classes which will suit each individual child. I can imagine planning it as a part of the day in which your older children can work independently through an online course - either viewing it online or downloading the material. What Schoolhouse Teachers IS and IS NOT. 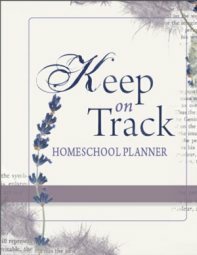 Schoolhouseteachers.com sets up to assist, produce excellent Christian material, courses to partner with you on the homeschooling journey. You can use it as an option for the core of your curriculum in the early grades OR you can select courses to fill in the gaps. 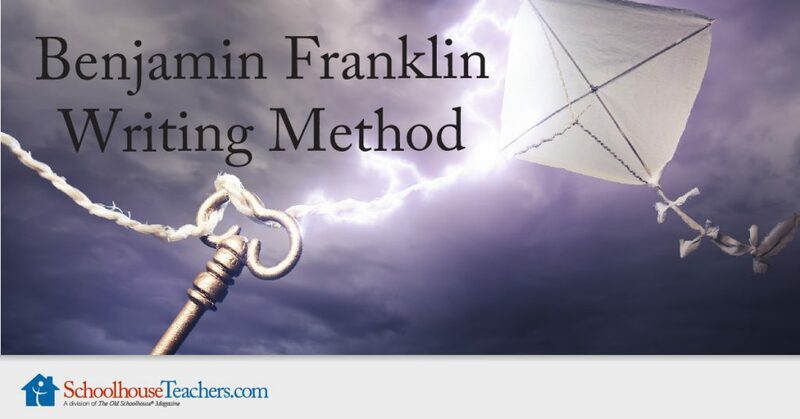 It is not a replacement of the homeschooling parent - but can help you with the homeschooling task. There also is access to WorldBook online materials and there are courses just for parents and even help with menu planning! 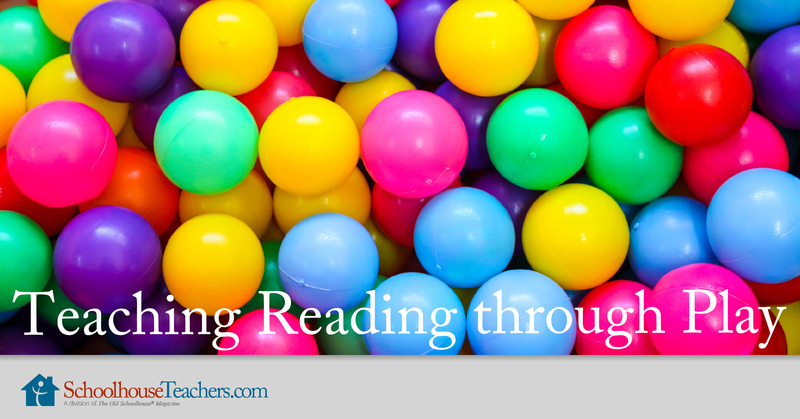 Have you used the Schoolhouse Teachers homeschool online courses?